As the rest of the Divas know, I have strong opinions about sewing children clothing. If you go onto Pattern Review, the vast majority of projects are from Moms making clothes for their kids – a wonderful expression of love. Children’s clothing is also a good way for beginners to learn sewing. Children’s patterns are simpler than adult patterns, and the little ones will still wear your project proudly event if your skills are still developing. But let’s be frank – nothing suffers from the “happy hands at home” syndrome more than home sewn baby and children’s clothing, and this distressing fact is not always related purely to sewing skill. 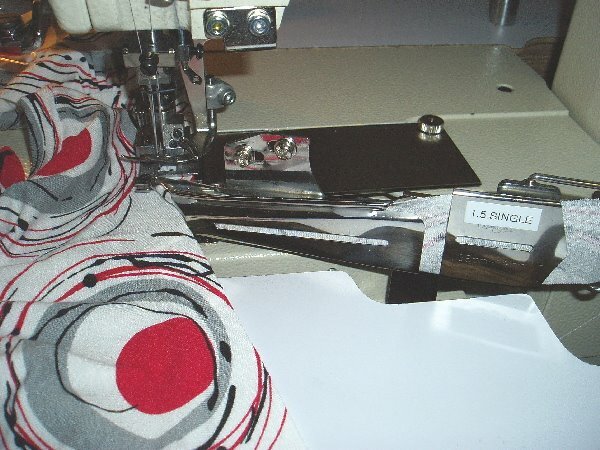 No Cheap Fabric – Everyone loves a bargain, but using poorly made fabrics just makes your project look cheap. If you wouldn’t wear the fabric yourself, don’t make children’s clothes from it. 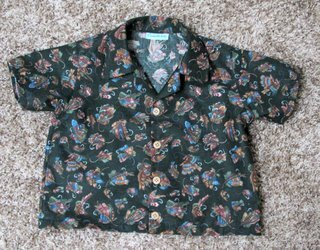 Last year I made a wool/cashmere coat for a toddler, which sounds ridiculously extravagant; but remember these are tiny garments that use so little fabric you can often use remnants or less than one yard of new fabric. Plus you’ll create something special that will definitely be handed down gratefully. No Juvenile Prints – children are so beautiful that they don’t need to be adorned with dinosaurs, soccer balls and ballerinas. 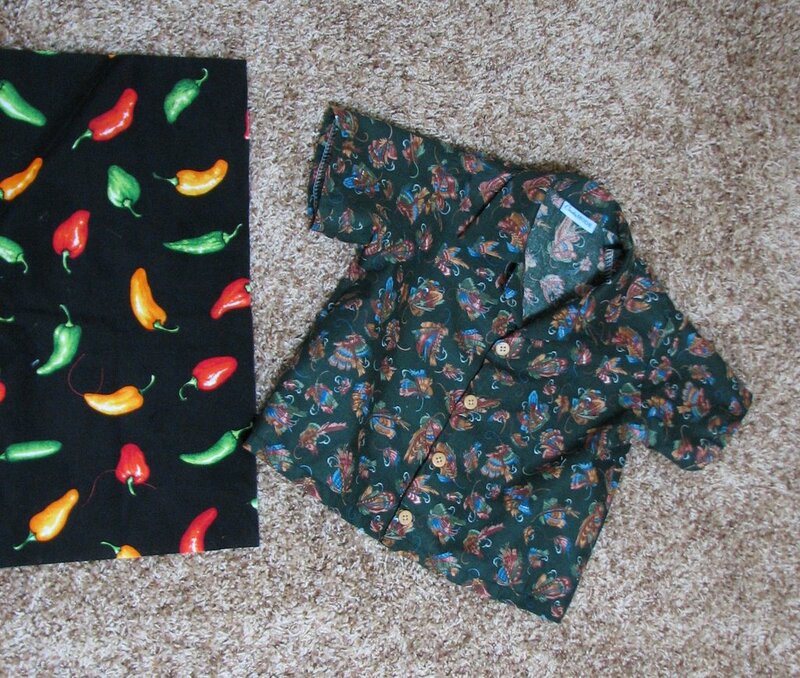 Expand your fabric choices and consider looking beyond traditional kids prints. …which gave me the more RTW-looking collar you see above. Also, as with an adult garment, good sewing habits get results – so press as you go during construction, and clean finish your seams. 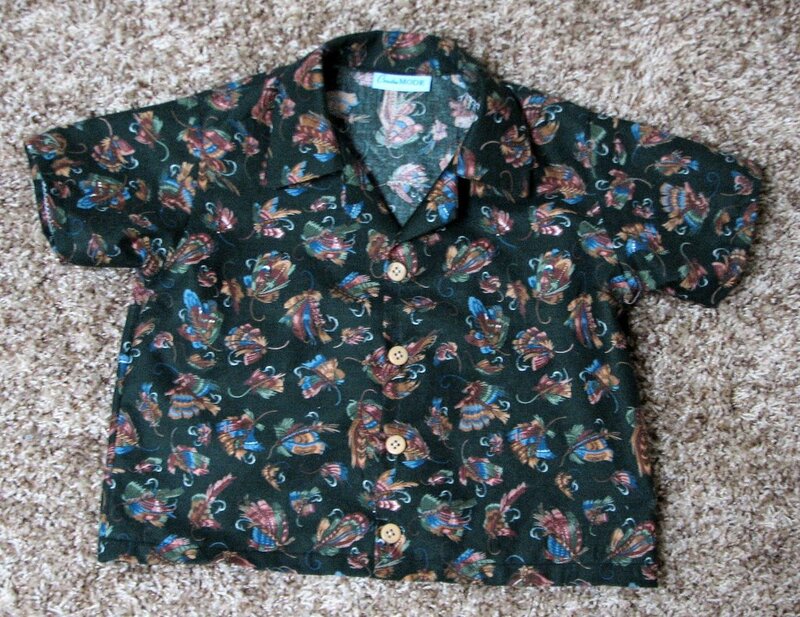 These concepts will make your childrens sewing as impressive as the garments you do for adults. You can read a full review of this shirt on Pattern Review. 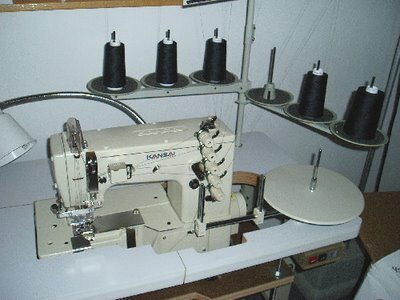 Some months ago, I purchased a Kansai Special W8103F coverstitch machine. It has 5-thread capabilities: two or three needles with or without a top cover. It’s been great for hemming all of my knit garments! This weekend I decided it was time to practice with the binding attachment. This machine uses what is known as a post binder. 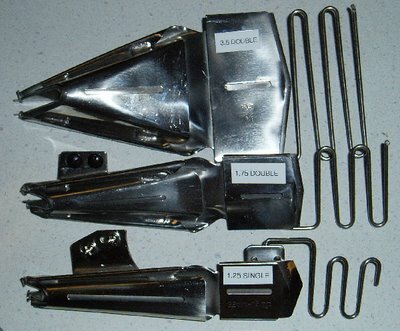 The binding attachment mounts onto a post at the front of the machine vs. being screwed into the bed of a flatbed machine. I currently own four types of binders: 1.5″ single-fold (meaning the lower edge is left raw), 1.25″ single-fold, 1.75″ double-fold (both the top and bottom edges are turned under) and a 3.5″ double-fold. 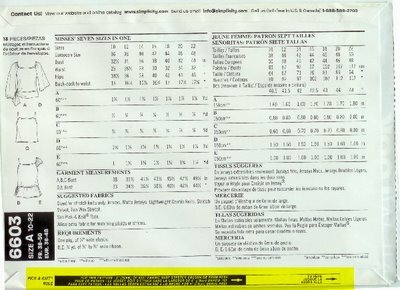 I also have a 1 9/16″ double-fold and a 1″ double-fold on order. It’s nice to have a selection on hand. 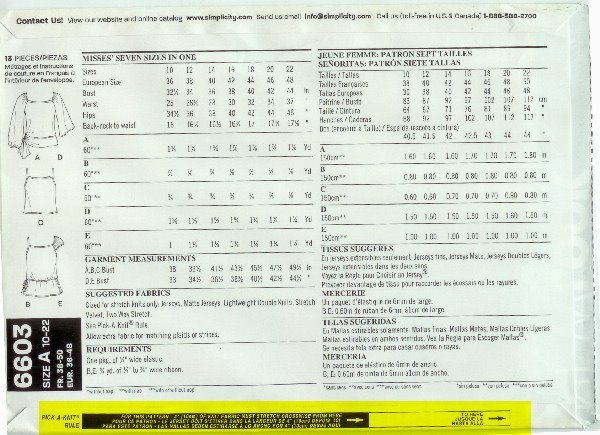 In retrospect, buying the 1.25″ single-fold binder was a bit of a mistake – there just isn’t enough difference between it and the 1.5″ binder to make it a justifiable purchase. Maybe it’ll come in handy sometime when I am short on fabric. One-and-a-half inch binding is pretty standard. I have been able to amass a few rolls of precut binding. 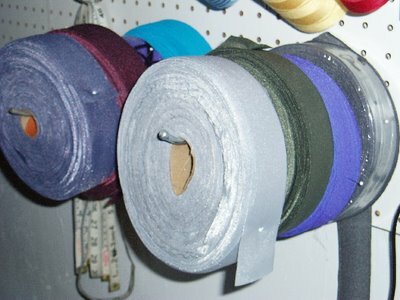 While I like cutting my own binding from my fashion fabric, these precut bindings are great for athletic wear. Here is how the binder attaches to the machine. Since I’ve only used flatbed mounted binders until now, it took a little practice to get everything lined up just right. The machine in action. The fold of the binding is about even with the bed of the machine so that I can simply guide the garment into the fold, being careful not to stretch the garment. The finished product, a beautifully bound edge. I love this finish so much that I’ve decided to buy a 2nd coverstitch – a flat bed – and keep this one set up with a binder all the time. 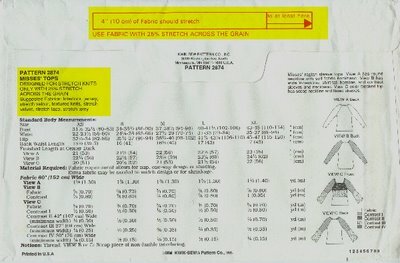 When working with knits, it is important to know the percentage of stretch your particular fabric possesses. 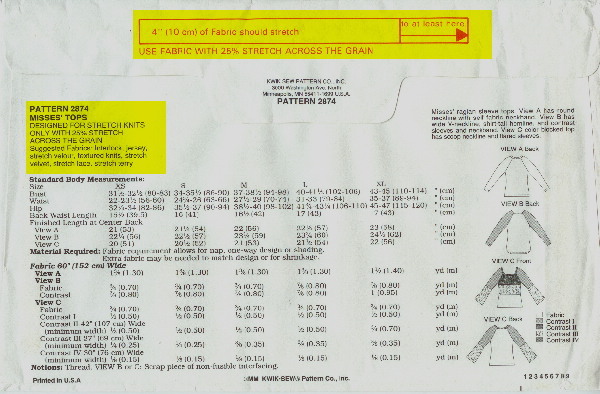 If a pattern calls for 50% stretch and your fabric only has 25% stretch, there will be problems with fit! I learned this the hard way when I made a swimsuit out of Qiana when I was in high school. It turned out great but I couldn’t get it on. To make it easy to figure the percentage of stretch, I have taken an old school ruler and made my own gauge. Using 5″ as the base, I have marked off every half inch beyond that in 10-percent increments. Easy, cheap and very handy for those of us who love to sew and wear knit fabrics. With this ruler I can gauge knits up to 140% stretch (12″ mark) although my scanner cut that end off so you can’t see it here. Simply begin with a 5″ piece of fabric (I prefer to use a folded piece because the cut edges tend to be more stretchy than the body of the fabric) and see how far you can easily stretch it. 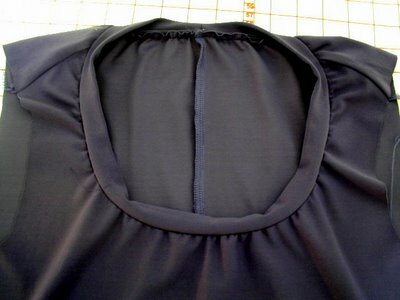 If your fabric has more stretch than the pattern requires you will want to go down in size (or plan on taking the garment in during fitting), if your fabric has less stretch you’ll want to size up or add extra-wide seams. I love the look of a single layer of tulle for an edge. 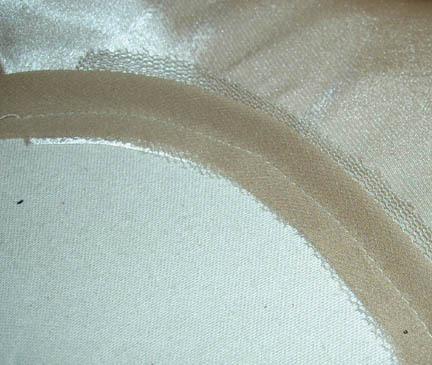 It can be used on cami necklines, cuffs, cardigans, hems. I thought I would share my process on a recent test strip for a tank top I’m making. I sandwiched the 1″ tulle strip between the fabric face and a silk chiffon bias folded in half. Next trim away the seam allowance for a low bulk finish. 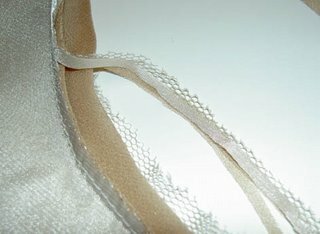 Press the silk chiffon bias down towards the wrong side of the fabric, leaving the tulle band flat against the ironing board. Topstitch the binding to the inside at 1/4″ from the seam. Such a sweet and neat finish. Perhaps I can incorporate it into my lingerie dream projects, since I recently received my vintage 1970’s copy of the “Kwik-Sew Method for Sewing Lingerie” from Amazon. I’ve often been asked how long to cut ribbing for a neckline. The answer depends entirely on the style of the neckline and the weight and stretchiness of the fabric being used. A scoop neckline will require a smaller ratio than a jewel neck. 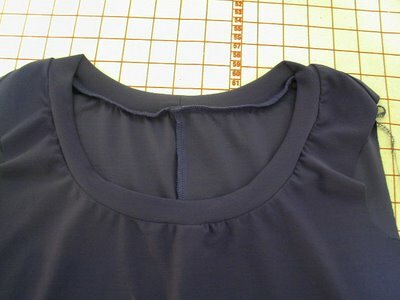 A very stretchy fabric will require a shorter ribbing than a firmer fabric. Unfortunately, there is no magic formula! Instead, you must experiment a bit. Manufacturers do a lot of testing before sending a garment into production. Yet, most home sewers expect to get it right the first time every time – don’t we? I will, based on the style and fabric, guestimate how long my ribbing needs to be and then baste it into the neckline (a good starting place is a 2:3 ratio for rib knit or stretchy fabric and a 3:4 ratio for less stretchy fabrics). 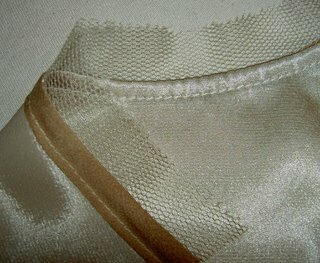 It’s much easier to remove a little machine basting than a serged seam. The following photo may make you gasp but it’s actually spot on. 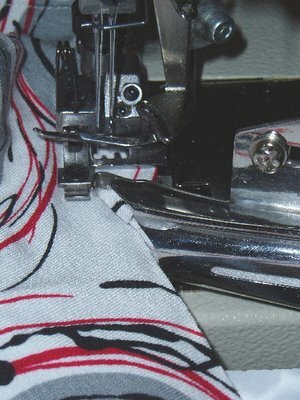 Remember, each pass on the sewing machine or serger will further stretch this seam which will, in turn, stretch the folded edge and allow it to hug your body. 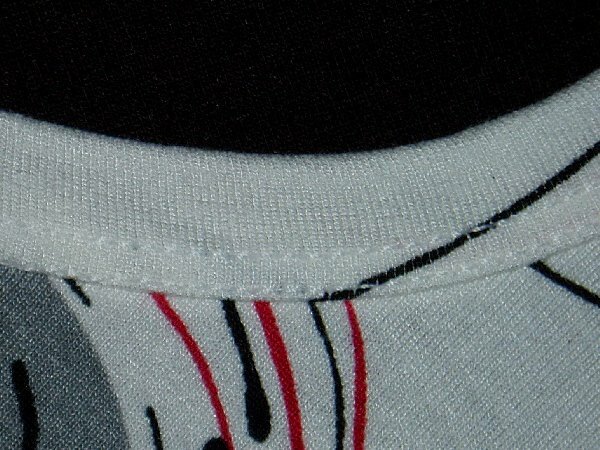 Sewers are always so worried about stretching out a neckline when, in fact, I find that they are not stretching the sewing line enough. 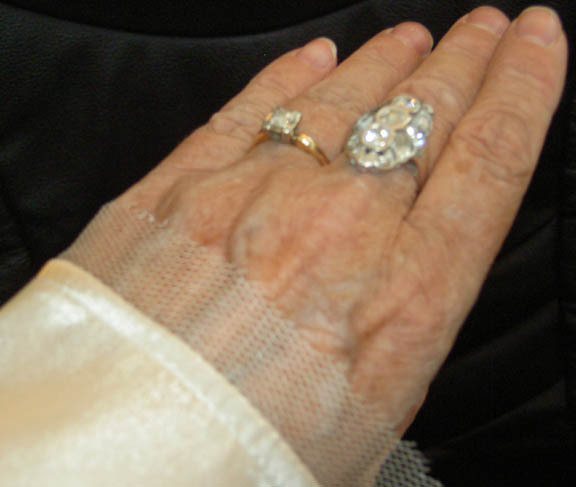 This will result in a ribbed edge that stands away from the body which is often mistaken for a stretched out neckline instead of what it actually is: a ribbing or binding that is too long. Here is the same neckline after being sewn on the serger. As you can see, there is a great improvement already! 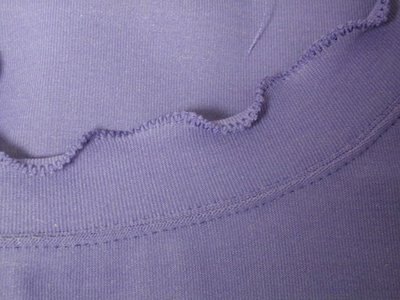 For a very neat, flat finish, I like to either coverstitch or twin-needle topstitch the ribbing seam – often straddling the seam with my needles. This last row of stitching further stretches the seamline giving me a very nice neckline finish. 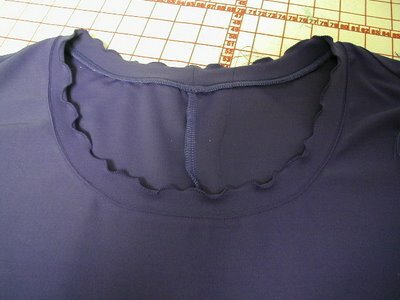 Unfortunately, I neglected to photograph this neckline after the serging and before I lettuced the edge – please forgive me for that oversight. By the time I realized it, it was too late.